In a week that saw the publication of the long-awaited Cambridge Phenomenon book, celebrating 50 years of innovation in the area, some more sobering figures concerning continued investment have been published. Research from tech-focused investment group Ascendant found that while generally VC investment is up in Q1 2012, money doesn’t seem to be coming to Cambridge. £307m was invested in tech companies in the UK and Ireland – with £188m going to London-based outfits, and £27m to Irish ones. Cambridge (and Oxford) saw very little new money. While it can be misleading to generalise based on three months of data this could be a worrying trend as centralised government action to boost London’s Tech City draws potential funding (and talent) away from the Cambridge ecosystem. 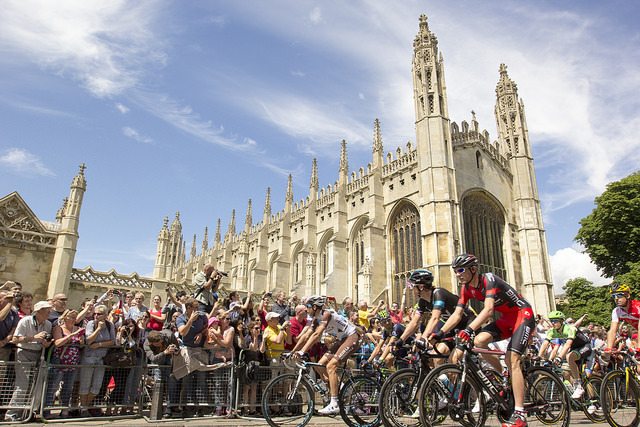 After all, as Rory Cellan-Jones points out in his BBC Blog, Cambridge has potentially a better chance of creating world-class tech companies than London as it has already developed an ecosystem with research at its heart to feed innovative ideas to the market. But investment funding for Cambridge is key – not just in ‘scientific’ spinouts such as Owlstone and ARM but the more internet-style businesses and the thriving cleantech sector that Cambridge also supports. 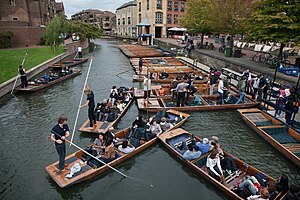 So how does Cambridge compete against the media-savvy Tech City community when it comes to gaining funding? I may be biased as a marketer, but really feel that public relations has a strong role to play. There is still a tendency amongst Cambridge startups to treat PR as an afterthought rather than an intrinsic part of how you create a company and drive its success. You need to know your audience and deliver the right message to it at the right time using language they understand to succeed. Otherwise the risk is that Cambridge will become seen solely as the domain of technical wizardry rather than as a driver of customer-focused innovation that leads the UK tech scene. Last Saturday I was down at the London Startup Weekend, helping to mentor participants and hone their raw ideas into (hopefully) winning projects. Having been one of the organisers of the Cambridge Startup Weekend earlier in the year it was good to be see the event from another side (with a lot more sleep). Firstly, a quick explanation of what the Startup Weekend concept entails. Essentially it is a 56 hour event that brings together people with ideas and skills to create some sort of application, product or business idea over the course of the weekend. People pitch their ideas on Friday evening, everyone votes on those they’d like to work on, groups form and they then frantically develop their projects ahead of judging on Sunday evening. The role of mentors is to provide encouragement, advice and occasionally a reality check. Firstly the energy and enthusiasm of the participants never ceases to amaze me. These are people who believe in what they are doing, enjoying the experience and learning while they do it. While their current ideas might not make it, these are the entrepreneurs of the (near) future, which is heartening to see. The range of ideas from both events was staggering, covering apps and websites from all sectors. I’d say there were more ‘physical’ services amongst the groups I talked to in London (such as lunch deliveries and pamper boxes for pregnant women/mothers), which is an interesting development from the normal software based businesses. Scale – the Cambridge and London events were light years apart in size. Cambridge had around 110 participants, and London 200+. 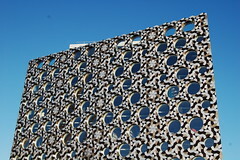 Due to space constraints London was split across two sites (Ravensbourne College next to the O2 Arena and Club Workspace in Clerkenwell). Obviously this meant more mixing between different groups in Cambridge (where everyone was in one, smaller space) and I think this benefited ideas development and networking. However I’m sure the Sunday evening judging and party brought everyone back together in London. Hearteningly everyone realised they need marketing. Rather than thinking that the world will come flocking to their door, London participants factored in the need to identify and reach target audiences, with many considering quite sophisticated marketing approaches. London companies seemed to be ahead of Cambridge in this area. The mix of people. As I said I didn’t talk to all 200 people in London but they seemed to be a bit more of a homogenous bunch in terms of age and where they were based. Cambridge participants seemed to have travelled further (such as from Finland) and spanned the age groups from twenty something to fifty year olds. But all in all these differences are part of the appeal of Startup Weekends – everyone is different. So, if you’re interested in new ideas I’d urge you to sign up and go along to one as soon as you can – it is a great use of a weekend.